Don’t just choose any knee orthopedic surgeon. Make sure you’re getting the best care! Did you know that joint disorders are one of the top ten reasons that people visit their doctors? This includes knee issues and injuries. Because of the complexity of the knee joint, and how much of our body weight they carry, there is an array of possible injuries the knee could sustain. Some of these injuries can be treated with rest, physical therapy and/or over- the-counter anti-inflammatory medication. However, the more severe injuries will require a consult with the best knee orthopedic surgeon in your area. 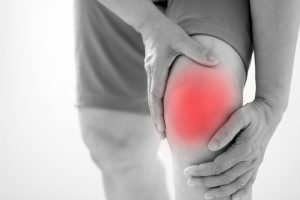 If you’ve experienced a knee injury or disorder that persists in pain and keeps you from functioning normally, you can find the best knee orthopedic surgeon to help by following one or all of these 4 simple steps. Contact your health insurance company about knee orthopedic surgeons in your network. Usually you can find a number for member services on the back of your insurance card. You can also check on the insurance company’s website to see if they have a physician search function there. Ask around for referrals from friends and family. It can actually be helpful for you and the physician if they have previously seen a family member as you probably share family medical history. Check up on the orthopedic surgeon knee specialist credentials. You should be able to find out about their schooling, certification, and any possible malpractice claims on state websites or Healthgrades.com. Get more insight from patient reviews. You can find out about other patient experiences with a specific orthopedic surgeon knee specialist on Healthgrades.com as well. Are You Comfortable With The Best Knee Orthopedic Surgeon? While all of the above tips are quite important, there is one last consideration for you. Once you’ve chosen the best knee orthopedic surgeon according to referrals, you want to make that first appointment and get an idea of how this specific doctor-patient relationship will work for you. We can often feel like once we’ve visited one specialist, we don’t have the freedom to try another. That’s simply not true. If you visit any type of doctor and you don’t feel like they’ve listened to you and/or communicated a clear course of action for your health issue, you are allowed to make an appointment with another. Trust is an important part of seeking treatment while you are in a medically vulnerable place. You can also visit our website, or like us on Facebook for more information. Next Next post: The Best Shoulder Arthritis Treatment Starts with You!